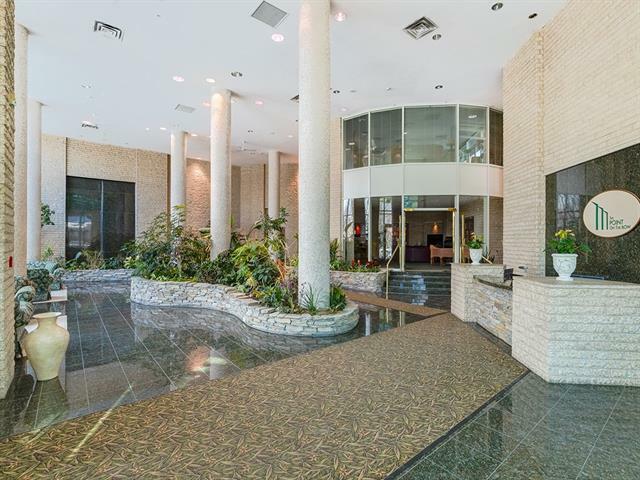 Welcome to "The Point on the Bow" one of Calgary's finest and premier buildings with outstanding amenities, beautiful Atrium Lobby and first class concierge service! 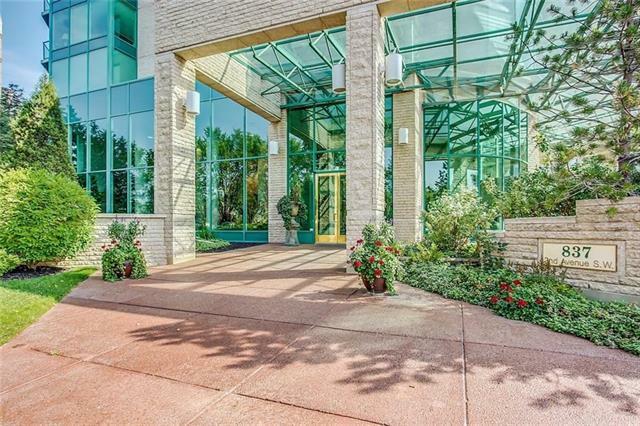 Extraordinary location on quiet no thru traffic cul de sac in west Eau Claire! 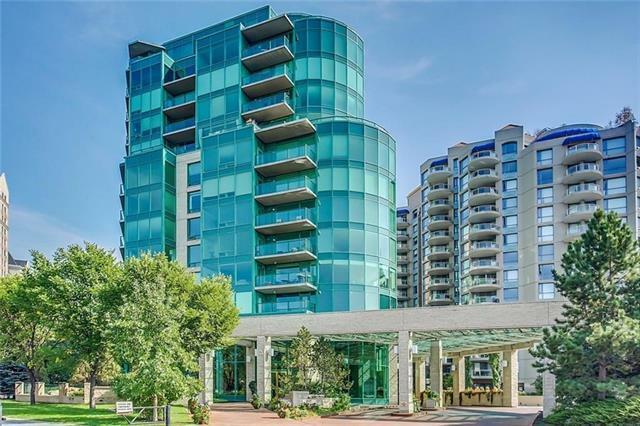 You'll feel right at home living in this bright south facing condo with views of the Bow River and Ravine, fabulous open concept and comfortable floor plan. To be enjoyed is the large south facing balcony accessed from the master bedroom and living area, huge master retreat with 2nd gas fireplace, 4 pce ensuite bath with jetted tub and shower stall, walk-in closet, guest bedroom with 2 closets and next to the 3 pce main bathroom with shower stall. Luxury living with granite countertops, hardwood and tile floors, separate laundry room with storage, stack washer/dryer, vacuum system and large tile entrance to greet guests! 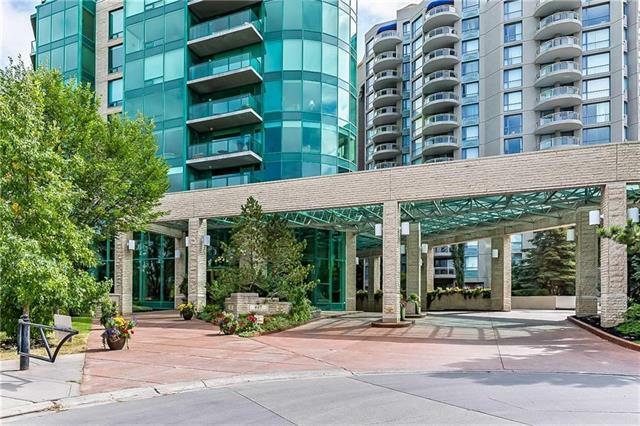 Comes with choice underground titled parking stall and secure storage locker conveniently right across from the elevator! Reg size is 1292 sq ft.